I am honored to have been nominated for a Blogger Recognition Award, nominated by the awesome blogger Nicole over at Sorry, I’m Booked. Nicole writes a ton of fun posts about all sorts of books. Check out her blog! The award was originally created and posted by Eve at Edge of Night. I’m still new to the book blogging world. I love meeting new bloggers and hearing about what books you’re loving! The short answer is I love books! And I love writing. When I finished my college degrees, I wanted to keep reading, but it was difficult to get excited about reading. I got a library card at our local library and dove into the books. I started with fun books that were full of action and love and face paced events. I started writing down my thoughts about books I read. I loved looking back at how I felt about books. When I had a good sized pile of book thoughts on paper, I felt like I wanted to do more. I wanted to share those thoughts and connect with other book lovers. Viola! Greenish Bookshelf was born! Write for you, first and foremost. Be consistent. Write consistently, and it will become a habit. Write about what you love. If you’re primarily a book blogger, read books you want to read and write how you feel about them. Give comments and you will get comments. Visit others’ blogs and people will visit yours. Congratulations and thank you for nominating The Misfortune of Knowing! 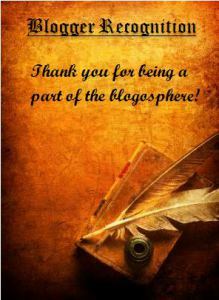 I’m looking forward to exploring the other blogs you’ve nominated.